We all know prescriptions can be expensive. 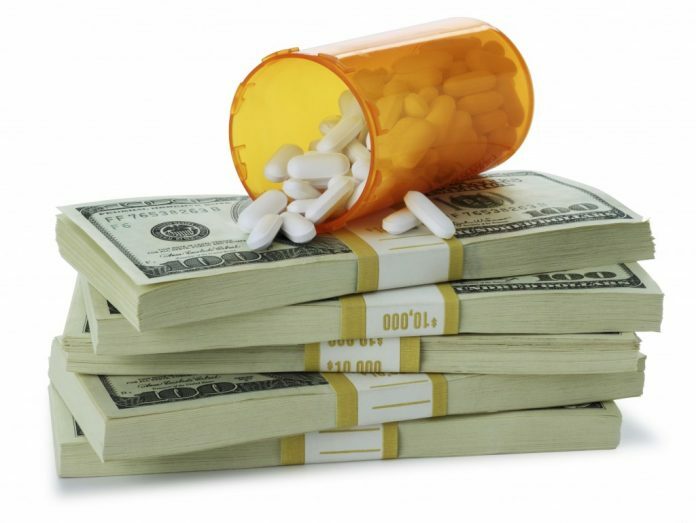 Whether it’s for Diabetes or Chemotherapy, AIDS therapy or painkillers for a broken leg, the drug bill often leaves patients wondering whether they should pay for a month’s supply, or pay for that month’s bills. But what drugs are the worst when it comes to prices? 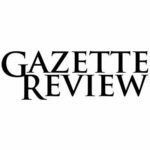 Here, we’ll take a look at the top ten most expensive prescription drugs of 2018 by examining their initial sticker price, before Insurance discounts or cost reduction programs are applied. For the sake of fairness, only prescription drugs that can be obtained outside a hospital setting as well as in one are included in this list, and costs are considered for the first year of treatment. 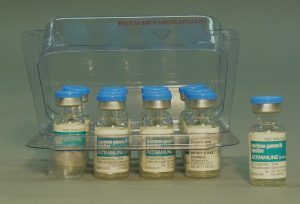 Originally manufactured in 1983 by Retrophin, Chenodal was intended to be a drug that mimicked bile acid within the gallbladder to help deal with gallbladder stones and other related issues. Prescription of this drug has been remarkably rare due to the risks posed by the medication except in very select cases. However, as of late, Chenodal has been found to also be useful in a rare genetic condition called Cerebrotendinous Xanthomatosis which is a disorder where lipid (fat) storage is placed in strange areas as such tendons. Due to the high cost of research and low rate of prescription, this medication is unlikely to come down in price soon. You might be surprised to find out that one of the most expensive drugs on the planet is made directly with something that each of us has in us right now. 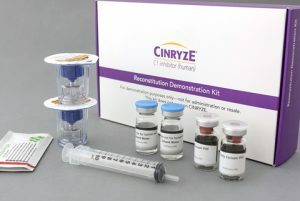 That’s right, Cinryze, a drug used to treat Hereditary Angioedema, is developed through the use of human blood. Don’t let that scare you though, this is no dystopian or tainted drug, it’s merely a matter of what is most effective for patients with HAE. So what is HAE, anyways? In short, this disorder is a genetic issue where drastic swelling can occur throughout the body and runs around a ¼ chance of being lethal without treatment. This fact, mixed with the low rate of occurrence of the disease (roughly one in 50,000) means that Cinryze can get away with a big sticker price. 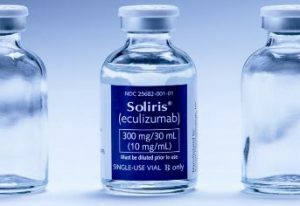 Probably on every list of the most expensive prescription medications or drugs for the last decade, Soliris probably has taken a spot. A rather controversial drug because of its cost, and at one time the lack of evidence for it to improve life expectancy, Soliris was originally designed to help treat the orphan disease known as Paroxysmal Nocturnal Hemoglobinuria. This rare disorder causes a defective protein in red blood cells to be produced and makes them prone to constant destruction by the body’s own immune system. So far the only known cure is a higher risk form of a bone marrow transplant, and thus Soliris is a potential second option. Soliris is also used to treat a similar disorder called Atypical Hemolytic Uremic Syndrome and does this by acting in a similar manner to an immune cell antibody that tells the immune system to stand down. Of all the drugs on this list, none of them have quite the greed and controversy connected with them as Daraprim, at least in the United States market. Ironically, before 2015, it was considered an affordable and in fact essential medication for the developing world, being created in 1952. It was used for treating Toxoplasmosis, Cystoiosporiasis and more recently to help offset Tay-Sachs disease progression. 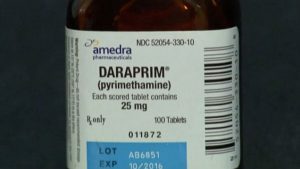 Daraprim was also used to treat Malaria for some time, but recently the parasite has developed a resistance to it. It was only after the Turing Pharmaceuticals bought the production rights in 2015 that the price jumped from $13.50 a dose to $750 a dose. This was at least in part due to CEO Martin Shkreli’s (who also at one point was CEO of Retrophin) philosophy that not only is medicine a business whose duty is first to stockholders, but also that nothing should be sold for anything less than the highest price. This is despite the fact that a group of high school students were able to recreate the drug in Australia for around $2 a dose. It could be expected that those students have a bright future, but for Shkreli? Well, as of March 9, 2018, he’s looking at 7 years behind bars due to securities fraud. 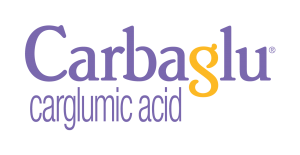 Next on our list of most expensive prescription drugs is Carbaglu, more formally known as Carglumic Acid. Used on, you guessed it, a rare genetic disorder, this drug treats Hyperammonemia from N-Acetyl glutamate deficiency which is the condition of excess ammonia in the blood, that can cause a lot of problems. Having been only invented in 2010, the exclusivity of this drug ran out early last year, but as of right now it hasn’t gained much attention from other drug manufacturers. Making it halfway up our list of the most expensive prescription drugs is one that two years ago made it to the very top. 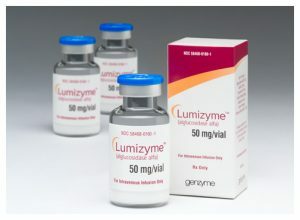 Lumizyme is used to treat Pompe Disease, where muscle and nerve damage takes place over time due to an excess of glycogen in cell lysosomes, which can cause death, often in a matter of months for newborns. Sometimes listed as the most expensive medication in the world, Actimmune is, while perhaps not that, at least is the most expensive interferon to come out of E. Coli. Due to the expense of purifying it and making it shelf stable, Actimmune (which is a manufactured form of Interferon Gamma) is very expensive despite being a somewhat common substance. ACTIMMUNE has only two FDA-approved indications: chronic granulomatous disease (CGD) and osteopetrosis (importantly, not osteoporosis). These disease are life-threatening and very rare – ACTIMMUNE is used by fewer than 500 people in the U.S.
Update from Manufacturer: Given significant disparate variables such as the patient’s specific dose, patient compliance with therapy and the many complexities in payor or PBM coverage – including discounts, rebates, etc. – the average net realized price for ACTIMMUNE is $287,000 per year. If we were making a list of most expensive medications per dose, Spinraza would easily take the cake. 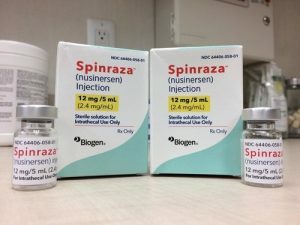 With a price of $125,000 per injection, Spinraza has a very long half-life of 135 days, and is very useful in spinal muscular atrophy, but has been rejected by multiple countries as a treatment option due to the extreme cost, except for those patients under 18 years old. The development of RAVICTI was championed by the UCD patient community because of compliance challenges associated with the older therapies. For UCD patients – many of whom are children – lack of compliance leads to significant morbidity, hospitalization and possibly death. Alternatives to RAVICTI present major barriers to compliance, requiring ingestion of up to 40 large tablets taken in equally divided amounts with each meal or feeding (i.e., three to six times per day) and accompanied by a rancid taste, body odor and GI disturbance. 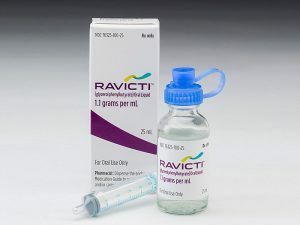 RAVICTI provides patients with a tasteless, odorless oral liquid administered three times per day. Update from Manufacturer: Given significant disparate variables such as the patient’s specific dose, patient compliance with therapy and the many complexities in payor or PBM coverage – including discounts, rebates, etc. – the average net realized price for RAVICTI is $404,000 per year. 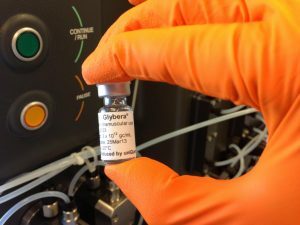 Topping our list of most expensive medications is Gylbera, which is also the first among a new drug type: gene therapy. Used specifically to treat lipoprotein lipase deficiency which can cause severe pancreatitis, Gylbera inserts a functional gene into the patient via a viral vector to stop the progression of this disease. Due to both the novelty of treatment and the rarity of the disease, Gylbera takes the title of the most expensive prescription drug of 2018. This has been our list of the most expensive prescription drugs of 2018. While it is true that many, many drugs are far cheaper than the ones listed here, for many they are still out of reach. If you or someone you know happens to be in such a position, it may be worth checking out Prescription Hope. Prescription Hope helps patients receive their medications at one low cost, through a mix of economic relief and trial programs, which means that those who need their medications but can’t afford it may be able to still access treatment.